School is out for another week, and most high school sports teams are also taking a break from game competition, but for those who are looking for a prep basketball fix can head over to Riverton and Draper to fill that need. If you’re not in Palm Springs for the huge MaxPreps Holiday Tournament, where a few Utah teams are hitting the hardwood against some of the best teams in the nation, maybe the Rivertion Holiday Tournament, co-hosted by Juan Diego Catholic High School, is the next best thing. A year ago, Timpview launched itself towards a Region 8 title by winning this event and 3A power Morgan took a step towards a second straight state championship with a second-place result. Those two teams are not back this year to defend their finishes, but a number of top performers from a year ago are here, including Kearns and Riverton, surprising semifinalists a year ago. The tournament tips off with games at both locations Saturday and runs through New Year’s Eve, with the championship game set for 5 p.m. Wednesday evening at Riverton. This year’s tourney has 14 teams in the field, so the host teams will face each other in an exhibition matchup on Day 1 before settling into the second round of the bracket beginning Monday. The event also features a team from outside the state, as Southern California’s El Toro High comes to town. The Chargers, from Lake Forest, in Southern California, come in with a 9-2 record. Coach Todd Dixon just reached the 400 win mark for his career in December, and he will be looking to add to that total in this visit to Utah. El Toro was 26-3 a year ago and reached the Southern Section quarterfinals in California’s larger schools Class 1A. Lehi would appear to be the pre-tournament favorite, though the No. 10 team in the state, according to rankings from The Deseret News, is set up in a difficult bracket, which includes opening against Skyline and a possible second-round date with Juan Diego. El Toro and an always tough Provo team that already took the Pioneers to overtime before Lehi claimed a two-point win, are among the other teams on that side of the draw. The Pioneers (7-0) have a pair of outstanding scorers in Tanner Nygren (nearly 26 points per game) and Marcus Draney (nearly 19 points a night) who make them tough to beat on any night. 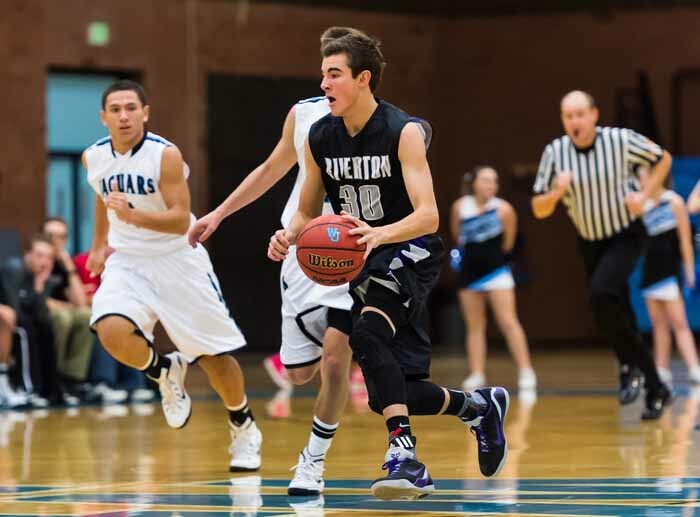 Juan Diego (6-2) is currently ranked No. 2 among the state’s Class 3A teams, and is led by guard Gabe Colosimo and his 20 points per game. Colosimo has committed to play collegiately at Seattle Pacific University. 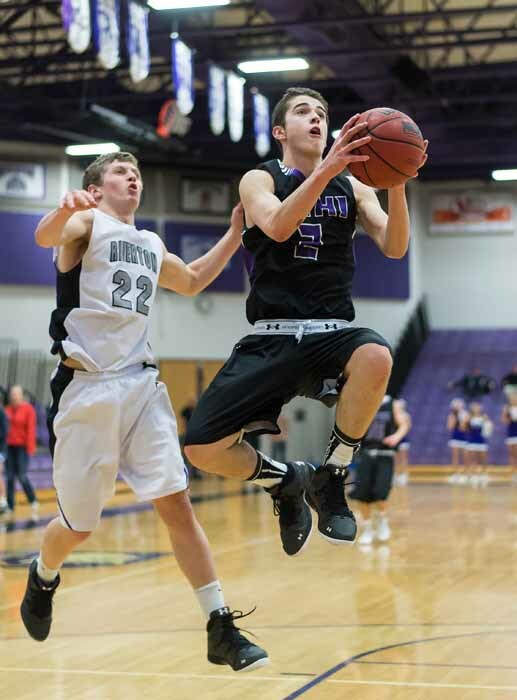 Riverton is out of the gates at 4-2 so far this year, but the Silverwolves have played a number of those games without their leading scorer from last season, 6-foot-1 guard Jeff Arens. The senior is back now, and dropped 22 in a game last week to announce his arrival. 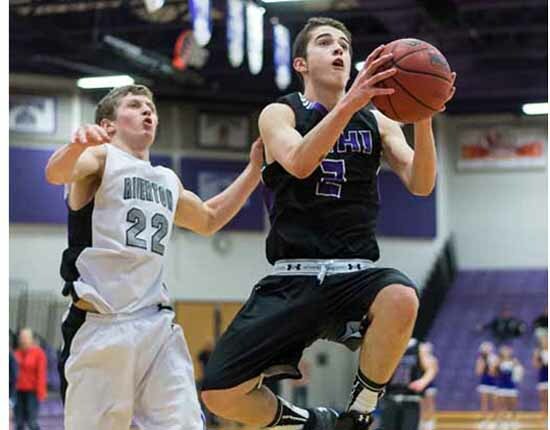 Arens combines with 6-6 forward Jaron Jones to give Riverton a strong 1-2 punch with experience. One of the teams that may be off the radar in Utah basketball is Park City (7-1), but the Miners are out to a great start this season. This tournament is their chance to show how they stack up against some of the larger schools in the state, beginning Saturday against Spanish Fork. Bosten Van Der Veur gets a lot done on the court for a 6-1, 165-pound guard. He is one of the state’s best scorers (22.5 points per game), but he also grabs nearly seven rebounds per night and dishes out four assists. The senior gives Park City a chance to compete with anyone else in this field. Kearns (4-1) is one of the state’s most athletic teams. The Cougars reached the semifinals in this tournament last season, and they were a 4A state quarterfinalist a year ago. Bushmen Ebet is a 6-2 senior guard who sets the pace for Kearns once again this year. He scores 16 points, pulls down four rebounds and passes out four assists per game, and 6-2 junior guard Taylor Marteliz has a similar stat line, with more than 13 points per contest. Skyline (4-3) enters the tournament having won four of its last five contests, and Westlake (4-3) had a three-game streak halted in an overtime loss to Springville as it made its way towards the Holiday Tournament. Provo enters the tournament with a 1-5 record, but the Bulldogs have played a brutal schedule so far, so that record is misleading. Craig Drury is one of the all-time winningest coaches in the state, with well over 500 victories to his credit and his team always comes ready to play. This year, senior Hunter Bailey is one of the state’s top scorers and he is always exciting to watch. Hunter (2-6) is another team that has challenged itself immensely with its non-region schedule. The Wolverines are led by University of Utah commit Noah Togiai, who scores 18 points per game. After losing their first six to a line-up of state powerhouses, Hunter comes to the tournament on a two-game winnings streak. 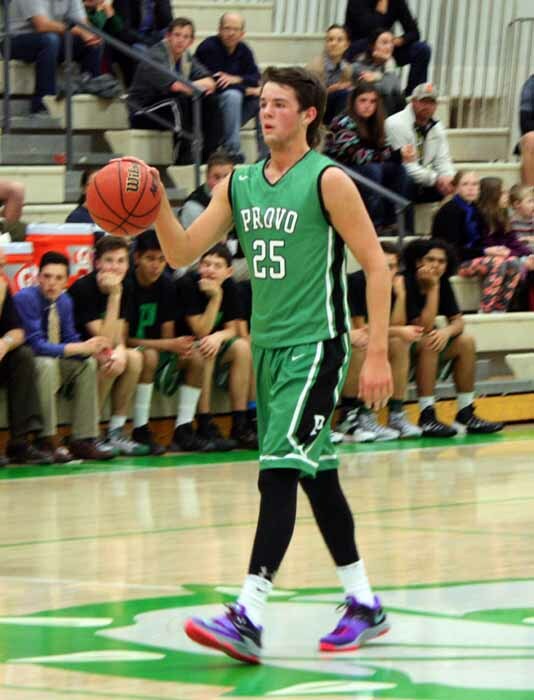 The Holiday Tournament opens with a game between Provo and Westlake at 10:15 a.m. Saturday at Riverton, with some first-round and second-round winner’s bracket games also played at Juan Diego before the championship bracket moves to Riverton exclusively for the semifinals Tuesday and the championship game at 5 p.m. New Year’s Eve.